We are back with Round 2 of our 2017 NBA Playoff Fashion Report! Although we will miss Russell Westbrook in this round, we still have some guys who would give him a serious run for his money in this round. So let’s begin with our best dressed! Taking our number one spot on and off the court is the Cavaliers star, LeBron James. The King pulls together a complicated but fresh look for Round 2 of the NBA Playoffs. As we have seen all throughout this offseason, jackets are everything! LBJ styles his look with one of the most popular pieces in menswear this season, the camo military jacket. He pairs it with a simple white tee and painted jeans. James finished the look with matching green shoes, and complicates it with red and black striped socks that tie into and bring out the patches of his jacket. The Kings tops it all off with a neutral colored hat. Complicated in the most perfect, off the run way, way! We only wish we could pull off a look like this! Runner up for this round is Cleveland Cavaliers J.R. Smith. The Cavs guard goes trendy with this all camo in this A Bathing Ape sweatshirt and matching baseball cap with matching high top sneakers. J.R. not only kills us with his on court thoughtlessness, and trickery (tying other players shoes together while the foul line), he also kills us with this look! Finally we have a suit break the list at honorable mention. This Washington Wizards #Wallstar kills the suit game with this nicely fitted navy suit and red power tie. He polishes the look off with a pair of shades. His future was so bright, boo! We want more J.Wall! This man has been haunting my dreams both in game and now out of game. This outfit looks like a middle school boy heading off to the bus stop in the 90’s. Camo is totally in this season but camo on camo? It doesn’t even match John Wall! I love you but I just cannot! This look is not all that bad right?! Isaiah is always so stylish but honestly, I am so confused by the black lines on this shirt. Did someone get out black tape and just place it across IT’s chest to make this look more interesting? So confused! Jessie Zahner is the owner of Athletchic.com. You can follow her on Instagram (Athletchic) or on Twitter @Athletchic. The time has come for the NBA Playoffs so we are back with our 2017 NBA Playoff Fashion Report! Now that round one is officially finished, we here at Athletchic put together the best and worst dressed of round one as well as popular trends around the NBA during the first round of playoffs! Oklahoma City Thunder’s Russell Westbrook is not only known for his triple doubles but also for his unique fashion. This year, the point guard did not disappoint. He won Athletchic’s best dress of the NBA Playoffs – Round One with this patterned short-sleeve button up, navy bandana, sunglasses and beat up cropped jeans. Although most men could not swing this look, Russ rocks it with confidence and completely pulls it off. We love it Russ! Memphis Grizzlies, Guard, Wade Baldwin doesn’t fall far behind Russell Westbrook in the fashion department during the first round of the NBA playoffs. Pictured here, pre-game, wearing a tee by Chris Brown’s Black Pyramid Clothing, a flannel tee tied around his waist and camouflaged skinny jeans. As if his look couldn’t get any more fire, he paired the look with probably the hardest pair of shoes to get your hands on, the Yeezy Boost High-Top Glow Brown Suede Sneakers by Kanye West and Adidas. Seems like Baldwin is a fan of musicians. Either way, Athletchic is obsessed with this look! Honorable mention in fashion for the first round of the NBA playoffs goes to Chicago Bulls, Small Forward, Jimmy Butler. Jimmy Buckets looks like he just walked off the runway in this Saint Laurent floral patch jean jacket which didn’t break this 27 year old millionaire’s bank even though it cost $3490! And he isn’t the only celeb that rocked a jean jacket this week. Kanye West, Future and Jared Leto were spotted this week wearing denim jackets too! So look out men, jean jackets may just be the new It jacket of 2017! Butler rocked the Parisian look by pairing it with light skinny jeans and a maroon tee underneath! After seeing this round one look, the women of Athletchic will be rushing to the re-create this look for themselves! NBA players aren’t just talented on the court! These guys really know how to pull off street fashion! Check out looks by LeBron James, Isaiah Thomas, James Harden and more above! All of these players pulled off fire fashion during round one of the 2017 NBA Playoffs! Poor Rajon Rondo! The Chicago Bulls, Point Guard helped the eight seed pull off two stunning wins in game one and two, while on the road in Boston. Unfortunately after an injury the team went on to drop four straight, losing the series. But the Bulls aren’t the only losers in April 2017. Rajon took a second loss with this short sleeve suit jacket. I mean, I get it, “How does he fit that cast in a jacket?” Honestly, I don’t know but cutting the sleeves off a suit was not the first idea I would have come up with! Although I loved the color scheme, I had to pause the game to rewind and re-look at Rondo’s interesting outfit. I have never seen a men’s short sleeve shirt coat. There is a first for everything I guess! Now you may see this next picture and wonder how someone could be on the best and worst dressed list all within the same series. Well ladies and gentleman, leave that to your boy Russell Westbrook who wore this interesting combination of a short sleeve button up KISS shirt and tight red athletic pants. Sorry Russ, I love you, the way you play on the court, the shade you throw during interviews and I even love your fashion, but not today. This shirt is frankly scary! I am still unsure of what exactly this sweatshirt Jerami Grant is wearing is. Is it Camo? Is it some weird trippy tie dye? Is it velvet? What is it? I get that he is trying to out-do Russ on the catwalk but bro, this just is not working out. You can’t beat Westbrook in the style department, even if he does end up next to you on a worst dressed list. So let’s tone it down, just a notch! So many looks here! Good? Bad? I honestly don’t know and it is driving me crazy! “What is Jerami Grant doing in a women’s black demin jacket? Spencer Hawe’s shirt is a joke right? Is DeAndre Jordan actually pulling off a Canadian Tuxedo? Are Dante Exum’s pants too short? Is he too tall? Are they women’s pants? Men’s capri’s? Help me understand! Is Mike Conley wearing shoulder pads? Is Zaza Pachulia wearing dad khakis and a women’s coat? What is happening?” All thoughts that ran through my head while taking one look at the collage of pictures above. These looks could be good, they could be bad, I haven’t been able to figure it out quite yet. This round of playoffs did not shy away from classic fashion statements like all black. Here, we see players pull off the timeless look with a flair of their own individual styles. J.J. Redick (Top Left) – The Los Angeles Clippers, Guard kills the black-on-black-on- black game rocking a bomber jacket, tee and skinny jeans. Andre Iguodala (Top Right) – The 33 year old veteran of the Golden State Warriors totally rocks an all black look with a fitted leather jacket, a tee and skinny jeans. Kyrie Irving (Bottom Left) – The Cavs star Guard pulls off his all black everything look with a hoodie, baseball cap, tee and long black coat. Yes, this may sound odd but if there is one thing that round one of the NBA Playoffs has taught me fashion-wise it is that children’s backpacks are a fashionable accessory staple for the modern day jet setter! Check out the stars of the Milwaukee Bucks and Washington Wizards rocking their children’s backpacks! Old Skool classic Vans have made a strong showing during round one of the playoffs. (From left to right) Wade Baldwin, Andrew Harrison and Jaylen Brown paired their Vans with black skinny jeans. Red sneakers aren’t a piece of a wardrobe, they have their own wardrobe! No one walks into a store and purchases a pair of red sneaks without thinking about it. These sneakers are unique in that, once purchased, the individual must then go out and create some type of wardrobe built around these shoes. With shoes at the center of a look, you can almost always guarantee fire and these NBA players proved that once again. (Left to Right) Jarell Martin, Chris Paul, John Wall, and James Ennis all rocked all red shows during round one. Last but definitely not least, suits! Although street style is everything right now, suits are never out. Check out the NBA players who rocked the classic look during round one of the 2017 NBA Playoffs. That is all for round one NBA Playoff Fashion, check back at the end of round two for more NBA fashion finds! 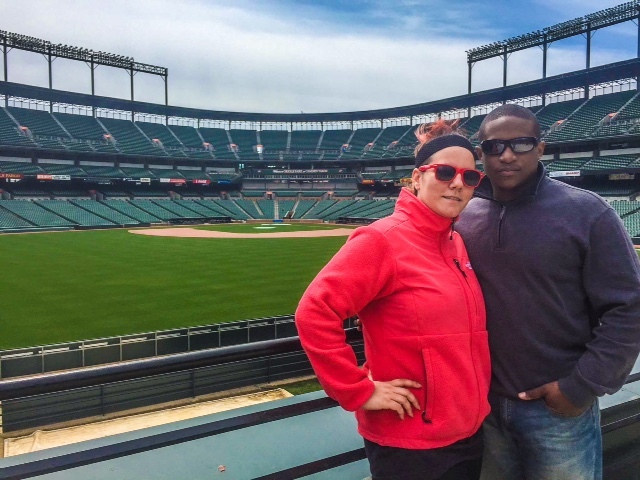 Jillian Zahner and Brandon Lilley stand before an empty Camden Yards. 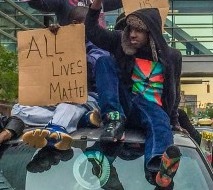 Athletchic spent time on the streets of Baltimore Saturday afternoon with peaceful demonstrators. By Monday evening, Athletchic couldn’t get home. A SWAT team had surrounded her apartment complex. Athletchic questions the City administration’s decision not to accept help from the governor this past weekend. With twitter echoing threats of violence, could Monday’s unrest have been prevented? Now, for the first time in Baseball history, a professional baseball game will be played without fans. 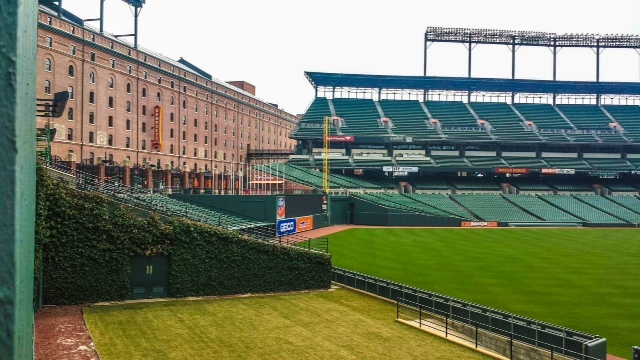 Officials are closing the doors of today’s game between the Baltimore Orioles and the Chicago White Sox. Questions still remain regarding the death of Freddie Gray. Questions that should and MUST be answered. All men, women and children–in all walks of life–are responsible for their actions. Justice must be served. But in this tumultuous time, let’s not forget what is most important. All lives matter— the lives of our children, the lives of our residents and the lives of our police officers. As we witnessed in the past 48 hours, sometimes stepping up to the plate doesn’t have anything to do with baseball. Community members, religious leaders, teens, children, parents and especially mothers, are stepping up all around town. They are taking this great City back. Athletchic is back at home and wants to thank all of the Toya Grahams out there that helped get her home. She is proud to say she lives in Baltimore. And as for tonight’s game? 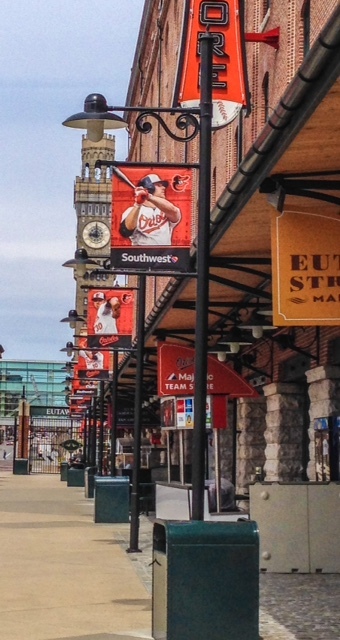 As a die-hard baseball fan, Athletchic won’t be making the half mile jaunt to Camden Yards. She’ll be watching that first pitch soar past the plate from home. Hope Saturday finds you with family, friends and lots of other final-four-lovin’ Athletchics. Don’t forget to grace yourself with lavish foods and try not to take the games too seriously. Athletchic spent sometime at a basketball game recently with a wise, little four year old. She perhaps taught us the true meaning of sport. 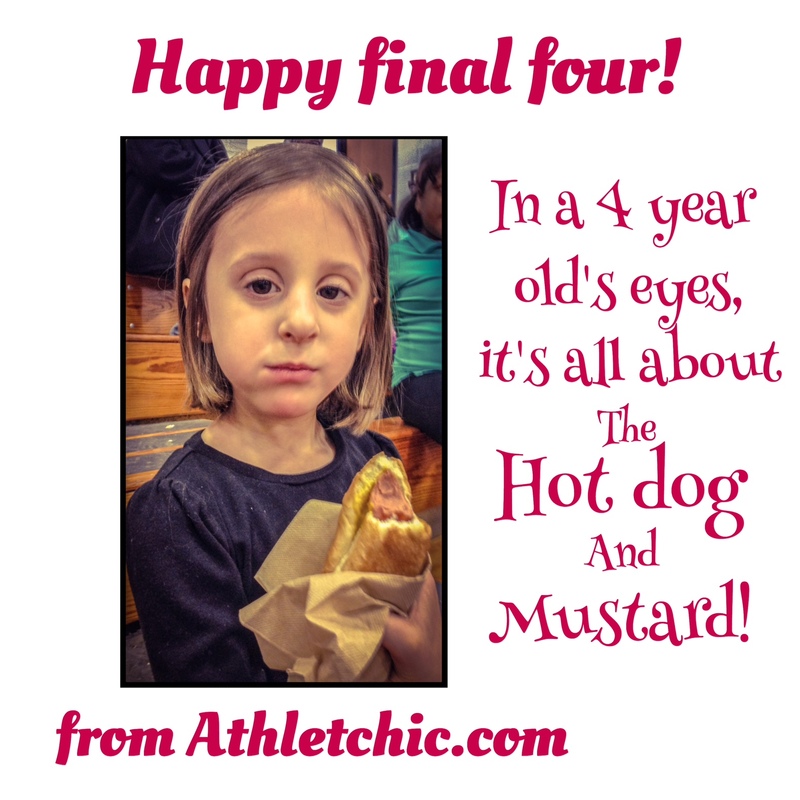 In her eyes, it wasn’t really about who won the game or who lost, it was really all about the hot dog and mustard! Safe travels for all Athletchics traveling to the Final Four games. 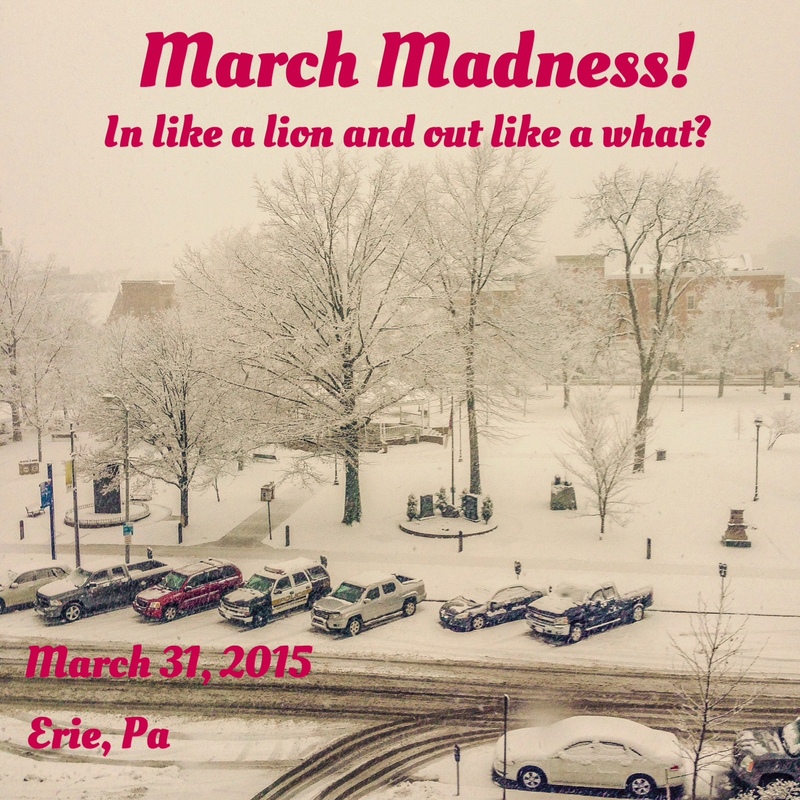 Especially you northerners in a different March Madness!!! And don’t forget to slap some mustard on that dog! Happy Watching!!!!!!! Women Who Never Miss a Winter Workout—What’s Their Secret? It’s dark, dingy and cold out there. Your bed is calling. You can’t kick your after-work, couch-and-chips affair. Then—on the way to the fridge—you see that crazy neighbor lady out the front window. She’s running in ten degree weather. The profanities fly. You pack a bag every night and take it with you in the morning. Period. Feel free to tell yourself you aren’t going to work out tomorrow. But you still must throw that workout bag in your trunk or over your shoulder before you go out the door. Every weekend spend twenty minutes picking out six outfits for the week. (The sixth is for a finicky day when you need a choice.) Iron and hang them in your closet. 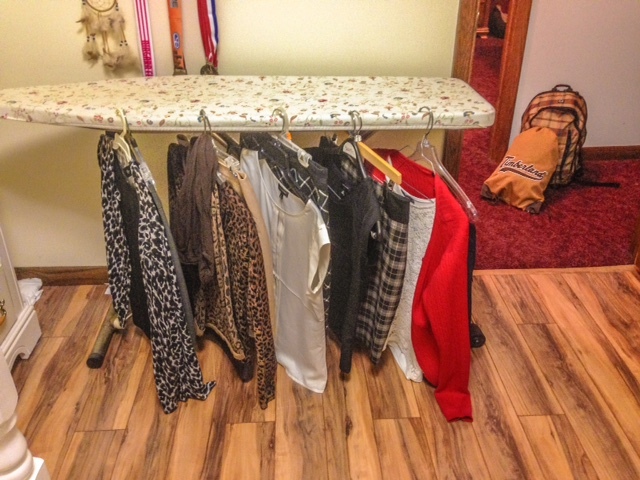 Consciously place them in the order you’ll wear them, so you don’t have to make any clothes decisions in the morning. If you have jeans day on Friday, jeans go last. If you have a presentation on Monday, your best outfit goes first. This is annoying but crucial. Sunday night is no problem, but for the rest of the week, you’ll need to pack tomorrow’s bag as soon as you walk in the door. If it has been a long day, play games with yourself. Tell yourself you can’t eat. You can’t sit. 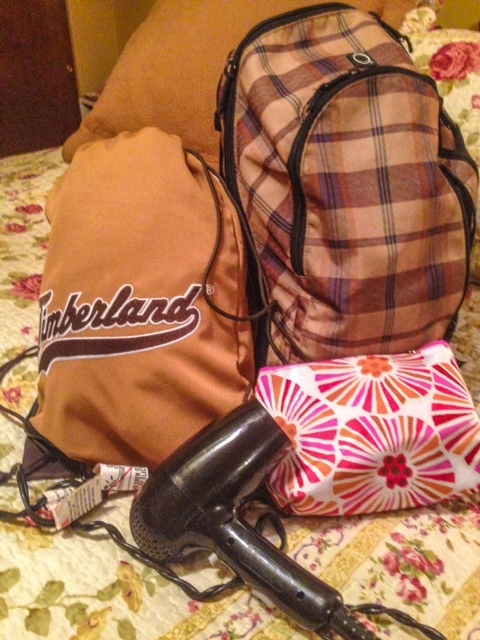 Heck, don’t even go to the bathroom until tomorrow’s bag is packed. Go directly to your bedroom and unload today’s workout stuff. Select tomorrow’s work outfit (it’s in order, no thinking required) and hang it somewhere in the open so you don’t forget it in the morning. Pack matching work accessories and undergarments in your backpack. Place your backpack under tomorrow’s outfit. Pack your lunch. 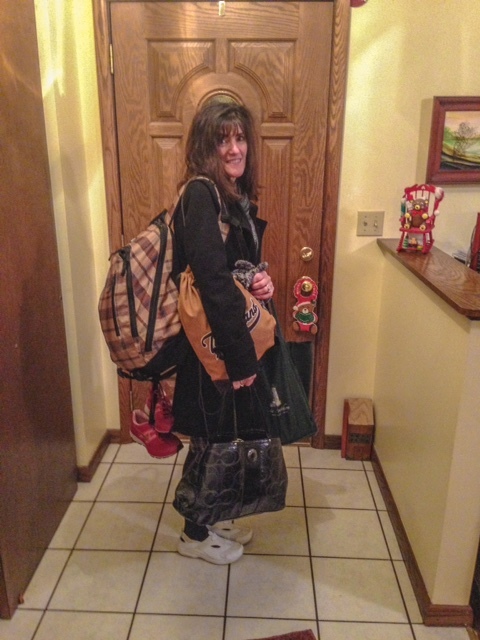 (I pack mine two days at a time—sometimes three. )You’re ready. 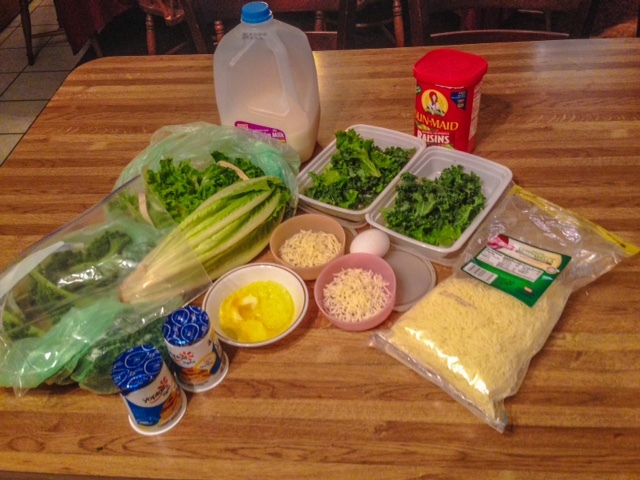 In the morning—just grab everything and go. What if you can’t get out of bed or just can’t face a four mile run? You compromise. Tell yourself you are only going to do half your workout—or a quarter of your workout. The sound of a one-mile walk is much more tolerable than a three-mile jaunt. Just go—you are already packed! On Mondays, plan your workout at noon or after work. It took me a ton of years to realize I didn’t hate Sunday nights, I just couldn’t bear that Monday morning workout. If you are like me, you don’t have a lot of time to read. Get a book you can’t put down. That’s helped me log hundreds of miles. I’ve read the best books in winter on the exercise bike. Use the elliptical, treadmill, whatever you prefer. * Find workout buddies and meet them twice a week. (Preferably chatty people.) This gives you “double pack rat ” status. You are awesome. You can do this. AND enjoy your pack rat status. Other women are swearing at you!!! People across the world are being beheaded. Global warming is eating away at the earth’s atmosphere. Governments are being overthrown. But here in this great land of opportunity, we are talking balls. Eight days have passed, and we still don’t know if Tom Brady likes to play with soft balls or hard balls. Even Coach Bill Belichick doesn’t know. (And Gisele’s not talking.) Belichick said he doesn’t handle Brady’s balls and deferred questions to the great quarterback himself who laughed mostly. So the topic has been debated, investigated, tweeted, re-tweeted and rolled around like Chinese boading balls until we’re blue. Every critic–not just sports critics–has weighed in on the subject. And the consensus? They say they like playing with softer balls because, well, you can handle them better. Personally, at Athletchic.com, we’re tired of all the ball bickering. We believe it’s just the big green monster rearing its ugly head. 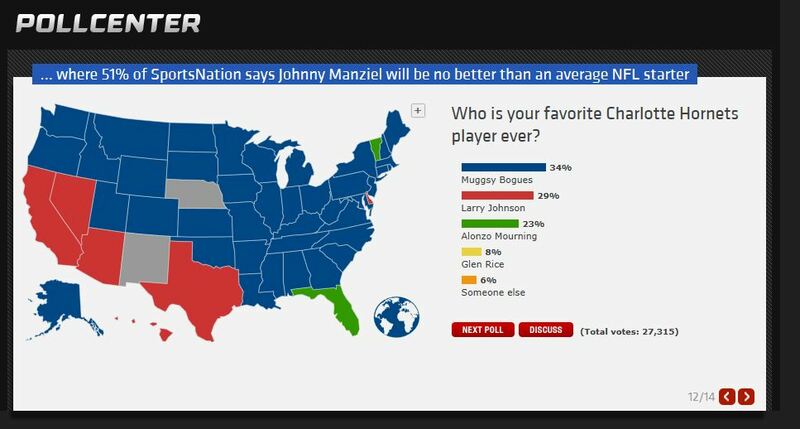 Fans of inflated-ball teams are desperate. People like rooting for the underdog and when the Patriots bring their balls to mid-field, there’s a good chance the underdog’s balls aren’t going to measure up (or down if you will). The Patriots have gone to the Super Bowl seven times since ’86. Ok they’ve only won three times, but they’ve got something else going against them. It’s been really rough trying to rouse dirt on Tom Brady. He’s sort of the Mother Teresa of American football. So the debate continues for mere lack of a better jab. And men can’t stop talking about it, because almost since they could stand they’ve had a fascination with their balls. This is no different. We can only see one small difference–and it’s a stretch. For the first time in football history, the word deflated was used in the same sentence as male athlete. “In an attempt to inflate their egos, the male athlete had deflated his balls.” Is that an oxymoron? Guys and their balls–some like ’em hard and some like ’em soft–’nuff said. I wanted to start the New Year off right so I am going to start with our Christmas Day Best Dressed Award. This goes to the Los Angeles Clippers small forward, Matt Barnes. On Christmas Day he stepped out in this look styled by Brandon Williams, one of our favorite stylists. Barnes is wearing a light burgundy colored jacket, pink button down, dark gray pants, a red rose 3D lapel pin and light colored pocket square. He wore a brown belt and theses amazing red to black hombre wing tipped dress shoes with black laces. The glasses add to the looks sophistication. Williams’ use of color here is absolutely stunning. Bravo Brandon and Matt! The NBA’s biggest star, Lebron James, showed up Christmas morning in the Camubutterfly sweatshirt by Valentino. The matching hat and sunglasses polished off his look. It is no secret that Wizards star point guard, John Wall is slowly becoming a fashion icon in the NBA and he did not disappoint on Christmas Day. John took a second outside of a plane to pose for cameras in this festive black and red ensemble. Red pants, bow tie and pocket square were accompanied by an all-black button down and suit coat. He completed the look with a little bit of edge as he accessorized with a simple gold chain that hung below the bow tie. LA Lakers star Kobe Bryant looked dapper on Christmas day in this fitted red suit coat and patterned pocket square. The black scarf, button down and pants went well with this look as they emphasized the coat as the main piece. Good job Kobe! Although his team lost to the Wizards Christmas morning, Carmelo Anthony was winning in the style department. The Knicks star wore a demin button down underneath this red and green puff jacket. He tied the look together with this gold necklace and a plain black beanie. Way to go Melo! Chris Paul always seems to be in style and he stepped his game up on Christmas. Here you see Paul in a pair of flashy red and black plaid pants. He keeps it simple up top with a white long-sleeve thermal and some gold chains. CP3 finished the look off with a brown trilby hat and a pair of Nike’s. Cavaliers forward, Kevin Love looked sophisticated in this black suit over top of a white dress shirt. Although simple, he made this style his own going tieless with an understated pocket square. We LOVE it Kevin! If you do not know who Marcin Gortat is Google him now and get acquainted. Not only is Marcin becoming one of the best centers in the NBA but he will soon become one of your favorite players. Gortat is a fan favorite in Washington with his black Mohawk, his on-court work ethic, his Polish fashion and his down-to-earth personality. He is DC’s sweetheart and an all-around awesome guy. On Christmas Day Marcin posted this Instagram photo of him with teammates John Wall, Bradley Beal and Garrett Temple. Gortat wears a nicely fitted dark patterned suit with a patterned button down, tie and pocket square. We love the added touch of the black beard and Mohawk. Keep up the good work Gortat! Miami point guard, Norris Cole brought the heat Christmas Day with his own unique style and ended up being one of our favorites. This casual but fashionable look was created with a plain black tee under a fitted black blazer with a thin lapel. We absolutely loved the black and white joggers with the black high-tops. Nice work Norris! Shawn Marion arrived in Miami looking festive in his ugly Christmas sweater. Marion wore this red snowman sweater and black pants to the big game Christmas Day. The Lakers team style got a little more swaggy Christmas day as guard Jeremy Lin gave each player his own customized purple and gold Monster headphones. Each set had the player nickname across the top in black, their jersey number on one side in purple and the Lakers logo on the other, as well as on the inside. Check them out! Last, but certainly not least, Spencer Hawes of the LA Clipper, who was the talk of Christmas Day! Wearing an extremely festive red and green checkered Christmas tree suit. Hawes stuck out while being sidelined and no one could take their eyes off of him. Interesting Spencer, very interesting. And that finishes off our NBA Christmas Day fashion favorites. Check back for more fashion from our favorite athletes and visit our new fashion Instragram page, athletchicstyle, for daily style trends. First, catchers and first basewomen have mitts. All other fielders have gloves. Because we aren’t in the major leagues, we’re going to use these two terms interchangeably. Hopefully, you’ve already invested in a genuine leather glove. Prices vary from $30 to $400, but you can find some good deals once November rolls around. Last fall I found the glove of a lifetime on year-end clearance. I spent $30 on a $100-plus mitt from the Rawlings Gold Glove Series. Purchase a glove from this breed and it should help your learning curve. Besides Rawlings, other reputable mitts are Wilson, Louisville Slugger, or the Cadillac of all gloves—Nokona. Don’t go for the pretty pink no-name. My daughter did that. It was the worst glove she’d ever had. Make sure you pick a glove that fits your hand—one that you can control comfortably. It’s not like a purse; it doesn’t have to be pretty. Although carrying your pretty 30-pound Louis Vuitton purse around town with your glove hand will make that glove feel light. Once you know you have the right size glove, it’s important to begin molding it into the shape that you want. 1. Moisturize the Mitt. Your mitt, like your hands, needs a good moisturizer. My father broke my first glove in with Vaseline. I use Neats Foot Oil, but there are several glove conditioners on the market. Rub the conditioner over the glove and laces but not inside the fingers. 2. Put your glove on. Then open your hand as wide as possible. 3. Shape the Mitt. With your other hand, begin bending the tip of the thumb or pinky finger inward toward your palm. Bend it as far as you can, creating a basket type effect. Move from finger to finger and back around several times. 4. Play catch with yourself. Toss the ball into the pocket over and over again. 5. Work the Laces. Tightening the strings between each of the fingers until you have a little excess lace at the tip of the thumb and the tip of the pinky finger. The laces will stretch easier in time as you break in your glove. Tie two knots with the lace, one as close to the thumb as you can get and one as close to the pinky as you can get. 6. Put your mitt to sleep. When you are ready to put your glove to bed for the night, place a ball in the pocket and tie those excess laces at the thumb and pinky together. This will trap the ball inside the glove and help shape it. 1. Place a ball in the center of the glove. 2. Tie a rope around the glove to hold the ball in place. 3. Place the mitt in a bucket of water for a day or two. 4. Take the mitt out and let it dry. 5. After it dries out, rub with a conditioner thoroughly. 1. Never bend the thumb of the glove backwards. 3. Never throw your glove at an opposing player, very unsportsmanlike. I hope this info will help you on your quest to…..GOOD FIELDING!! 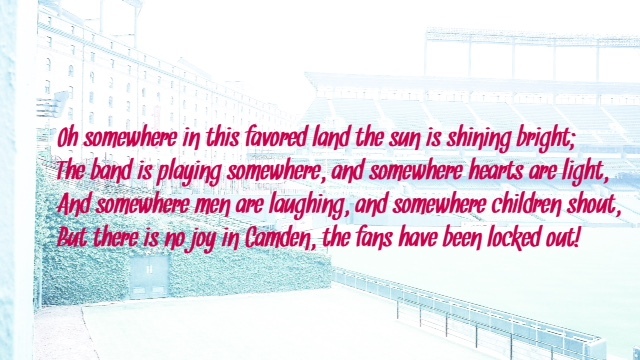 Jeff Zahner is a contributor to Athletchic and blogs a mini-series on various aspects of America’s favorite past time — baseball/softball. This is his first in a series of attempts to help improve your game. Look for future articles on How to Hold a Bat, Throwing, How to Form your Lid (cap), Who to Root For, and Who Is Responsible to Buy the First Round After the Game. Questions for Jeff? Comment below. 1. 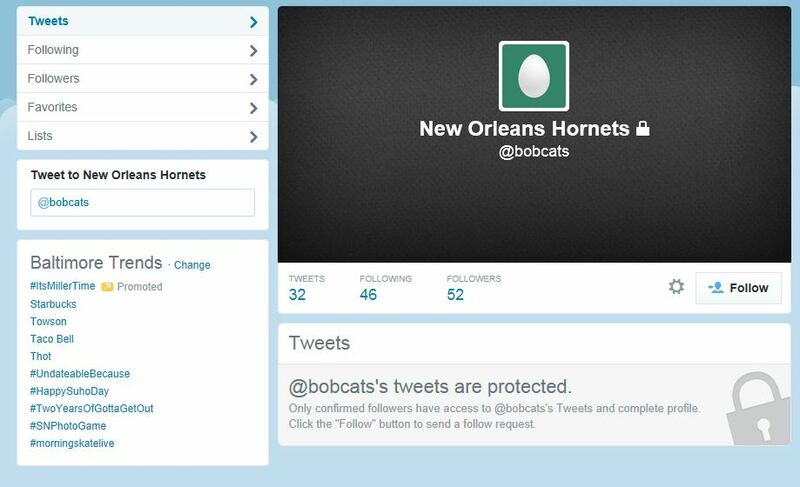 #HORNETSBACK – Charlotte Bobcats are finally the Charlotte Hornets, again!! Yes, it is true. 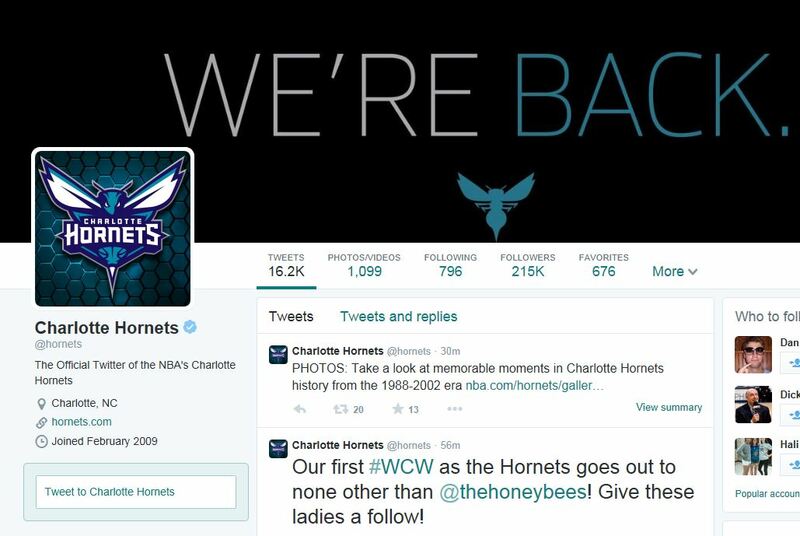 Fred Whitfield, COO of the Hornets stated, “Today (May 20, 2014) we complete a task that has never been accomplished before. Bringing a name back to its original market.” Social media and the internet exploded yesterday with excitement about the name change, from poll questions to throw back pictures of Muggsy, Grandmama and Zo, here are something’s you may have missed. We come to find that the 5 ft. 3 in. point guard — Muggsy Bogues — is everyones favorite Hornets player ever! 2. 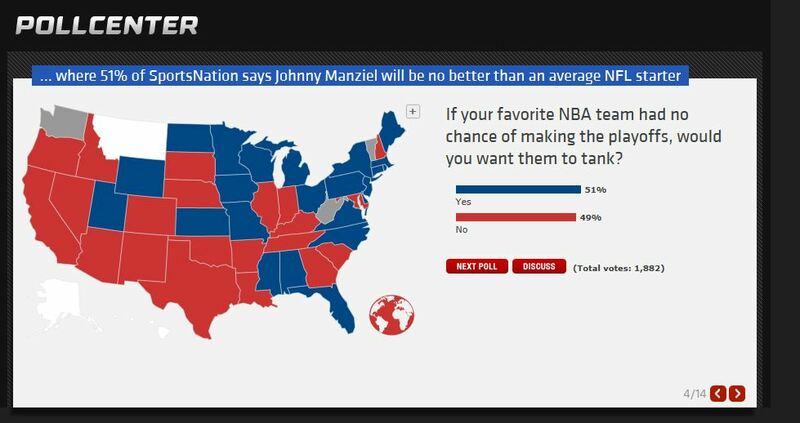 #NBADraftLottery – The NBA held their draft lottery last night and the fans are not too excited. For the second year in a row and the third time in four years, the Cleveland Cavaliers will pick at the #1 spot in the 2014 draft. 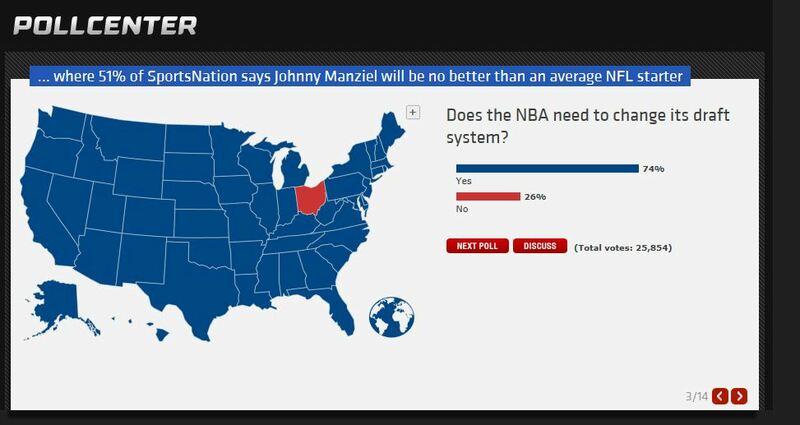 This poses the question that ESPN.com Poll Center asked, “Does the NBA need to change its draft system?” We come to find out that the people of Ohio don’t think so! 3. #TanakaTime ….not exactly – Star pitcher, Masahiro Tanaka, of the New York Yankees walked into Wrigley Field yesterday with a 34-0 record in his last 42 starts. Fortunately for AL East fans everywhere, the 16-27 Chicago Cubs, with Jason Hammel on the mound, served Tanaka his first loss since 2012.